The lives of men, women, and briefcases everywhere are at stake. Okay, here's the scenario: you wake up in a room. It's a little too dark to tell, but it seems like you're surrounded by concrete walls. In front of you is a table with a manila folder, a faulty alarm clock, and a briefcase. The lights come on. 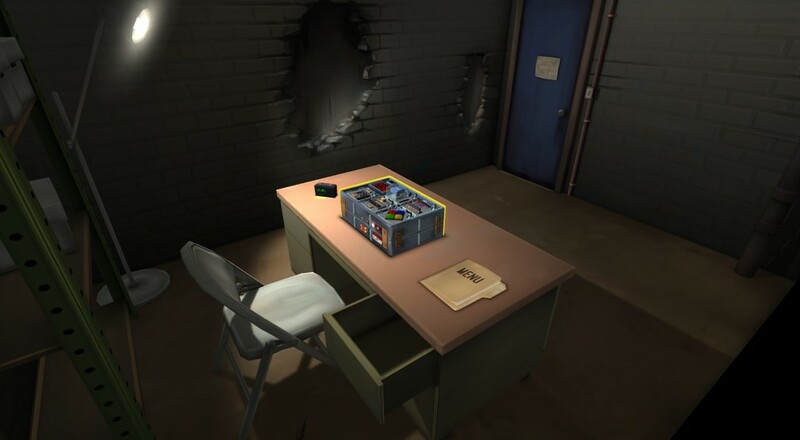 You notice that the briefcase is covered in little puzzles. Your friends to begin chirping in your ear, something about wires and buttons and comedy sketches from the 1930's. Your eyes scan the myriad of blinking objects covering the briefcase and... oh. Oh no. There's a timer. Welcome to Keep Talking And Nobody Explodes. Keep Talking is an asymmetrical co-op game in which a group of intrepid bomb experts must talk their friend through a series of increasingly complex bomb defusals. To do so, the experts have to parse a "bomb manual" listing all the puzzles one may run into and how to solve them. All the while, the defuser is doing the field work, the physical act of disarming each puzzle. That doesn't seem terribly difficult up front, but there's a catch: neither defuser nor expert can see what the other is looking at, meaning that victory or failure comes down to your ability to communicate under stress. Sounds fun, right? Before we give too much away, myself and Taylor (and a couple guests) got the chance to test our mettle against The Horrible Briefcase Menace. Give it a look, won't you? Keep Talking And Nobody Explodes is currently out for PC and Oculus Rift. Technically, there's no real limit on how many friends you can enlist, but I'd imagine the game gets far too hectic past 5 or 6. Come to think of it, that could be pretty fun, too. Page created in 0.8438 seconds.